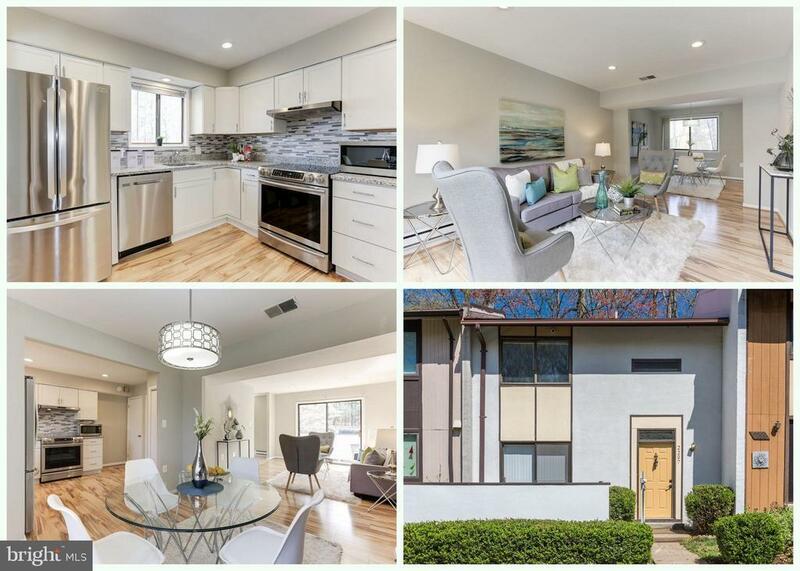 FRESHLY RENOVATED, GORGEOUS 3BR/2.5BA TOWNHOME, BRIGHT AND OPEN LAYOUT. Brand new kitchen with granite countertop, updated cabinetry, decorative backsplash, recessed lights, and stainless steel appliances. Open main-level with brand new engineered wood floor and extra wide room openings from Living, Dining to Kitchen. Spacious Living Room with recessed lights open to private front patio with sliding glass door. Renovated double-door Full Bath with tub to ceiling bath tiles, modern vanity and fixtures, and ceramic floor. Large lower level rec room with recessed lights, extra closets, adjacent to full bath with brand new shower, which is usable as the 4th bedroom suite. Brand new carpet upper and lower levels. HVAC ~15 (10 year warranty), Roof ~11. NEST Thermostat and Exterior Security Camera convey! Two reserved parking: 507A & 507B. Access to renowned Reston amenities: swimming pools, tennis courts, playground, nature trails. Close to Wiehle Silver Line Metro and future Reston Metro, Reston Town Center, Dulles Toll Road, Reston Parkway, shopping, grocery, airport. Ask agent for Complete List of Improvements. OPEN SUN 4/14, 1-4pm. A MUST SEE! Inclusions: 2 assigned parking (507A & 507B) is included.